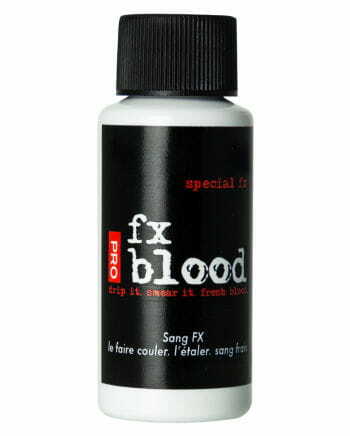 The fake blood is well suited by its color and consistency to allow wounds and injuries look fresh and refine transitions of latex wounds.The fake blood looks after drying still looked moist.The Wet-effect can be so great special effects and decorative items such as tiles, dolls, etc.einsauen with fake blood.The best you combine the brighter movie blood on our darker and more viscous Blood Gel / Blood Gel 30ml and our Krust Blood / Blood Scabs ! 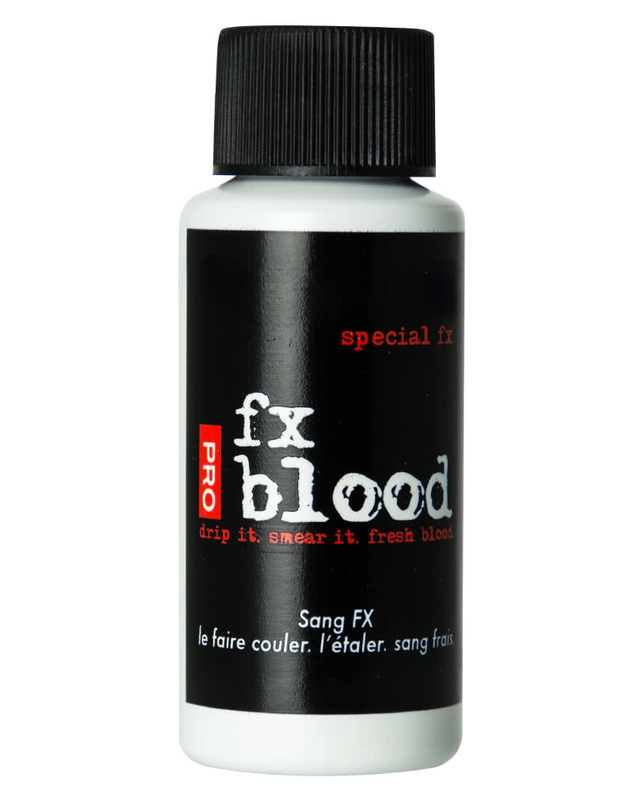 We offer the perfect fake blood from Hollywood for all your funny, scary and bloody Halloween makeup effects! The problem with most other artificial blood is that it does not behave like real blood.It is too fluid, too thick, too light or too dark.Our film blood provides a more realistic effect in comparison.The fake blood is easy to use and can be combined with other colors, makeup and latex wounds.So if you want to turn you into a horror movie character or scare your friends, then the fake blood is the perfect product for your Halloween makeup!